Four of the team members are going to line up to pose for a silly picture. All together, these students own five silly hats. Any student can wear any hat (or no hat) in the picture, but at least two silly hats must be worn in the picture. Assume also that no student wears more than one hat at a time. How many different ways can the team members arrange themselves and the hats for the picture? Dariel is demonstrating the principle behind a new card trick he’s working on. He lays down the 26 hearts and spades from an ordinary deck of cards, face up, in a row in front of himself, memorizing the locations of the hearts. He then blindfolds himself, and has another team member flip over any thirteen of the cards without Dariel seeing. Dariel, still blindfolded, then flips over each of the hearts. 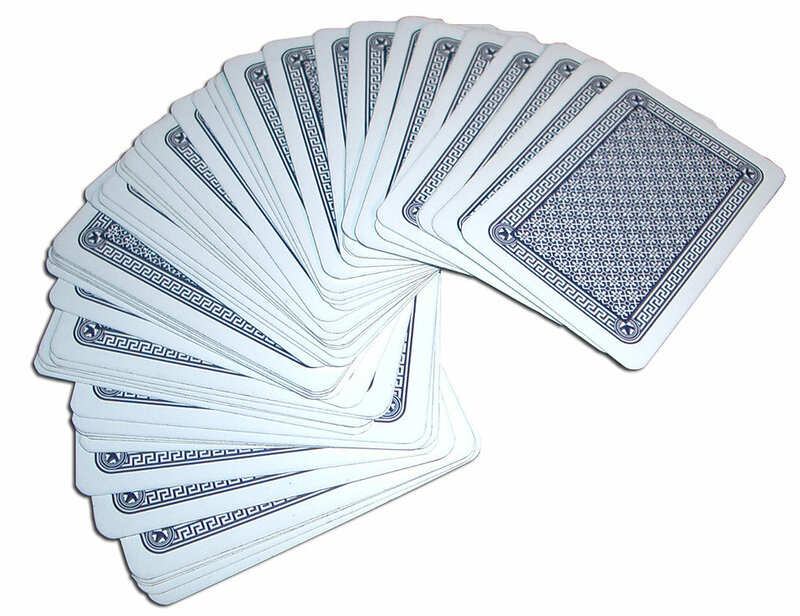 What is the number of face-up spades minus the number of face-up hearts? Test Test. The first thing to realize is that in order to fulfill the requirements stated by the professor, there must be at least five problems in the middle third of Shannon’s exam. In other words, the exam must have at least fifteen questions. 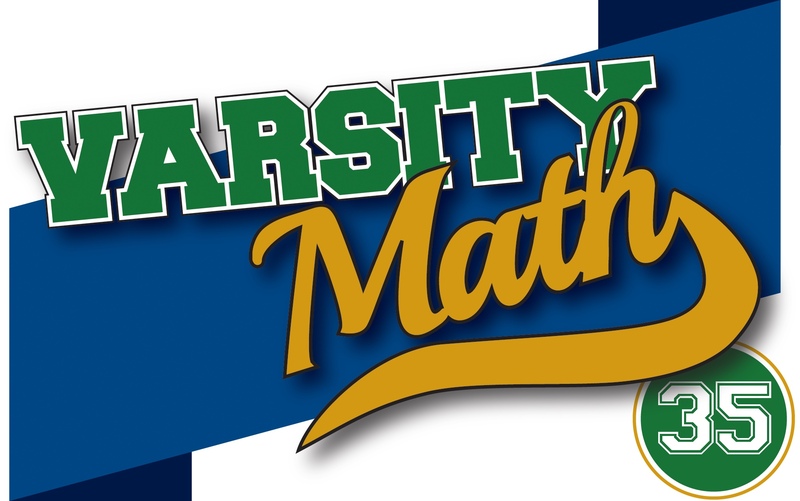 Moreover, the fewer questions on the exam, the easier it is for problems from one group to overlap with another group, minimizing the number of problems Shannon must answer. So we will find the minimum by assuming the professor made the exam exactly 15 questions long. In this case, by the middle clause, Shannon must answer all of questions six through ten. The first three do not overlap these, so Shannon must do two of those, for seven so far. But the requirements so far dovetail perfectly with the next instruction to do four of the first seven; the two from the first three plus numbers six and seven already fulfill that with no further problems needed. Similarly, the last five don’t overlap with any of the problems so far, so Shannon will have to do three more problems from that group, making a total of at least 10 questions to be answered in all; the requirement of six of the last eleven is automatically fulfilled by questions six through ten and one of the last five. Simultaneous Remainders. Since x-y has reminder 0 when divided by 10 (the answer to the previous week’s Test Test problem), we conclude that x and y have the same last digit. We also know that x times y is a multiple of 1008. To make x as small as possible, we will try to have xy be the smallest possible multiple of 1008. Could xy = 1008? No, because x and y cannot end with an odd digit, because then their product would be odd. Also, if they both ended in 0, their product would end in 0; if they both ended in 2 or 8, their product would end in 4; and if they both ended in 4 or 6, their product would end in 6. So xy must end in 0, 4, or 6, and cannot be 1008. But it could possibly be the next smallest multiple of 1008, namely 2016. Hence we look for factors of 2016 that end in 4 or 6, or more particularly, pairs x > y that multiply to 2016 and have the same last digit. We find 504×4, 336×6, 144×14, 126×16, 84×24, and 56×36. Of these, the smallest larger factor is 56. Different Dice. First, there would have to be at least five different numbers on the faces of the die to have no faces marked the same meet at a vertex, because five faces meet at each vertex. To minimize the sum of the faces, we would use numbers one through five. If any of the numbers one through five appeared five times or more, then that number would have to have two copies touch the same vertex, since five faces times three vertices to each face is fifteen vertices if they are all distinct, but the die only has twelve vertices. Therefore, the minimum possible sum of all of the faces to have zero pairs of faces with the same label touching at a vertex is 60 — four each of the numbers one through five. In our case, the faces only sum to 56 (the answer to the previous week’s Simultaneous Remainders problem). To minimize the number of faces with the same label that touch at a vertex, we want to minimize the number of labels that occur five or more times (since each such label will contribute more touches). The only way to to keep that number of labels down to one is to change one of the fives to a one from the distribution of four each of the numbers one through five, so that there will be five ones, four each of two through four, and three fives. Therefore, the probability that Rafa rolls a one is 5/20, or 25%. No-Dispute Knights. Another way of stating the no-mutual-attack condition is that no two knights can be two moves away from each other, since if they were, both knights would attack the intermediate position between them. Note that a knight always changes color on the chessboard in every move, so in two moves it remains on the same color. Hence, the positions of the knights on white and black squares will be completely independent in this problem; we can solve the problem just for white squares and then double it. 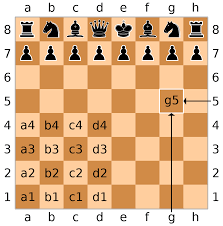 With the standard labeling of a chessboard as shown, there are only eight white squares in the region: d3, f3, c4, e4, d5, f5, c6, and e6. And every one of these squares is four knight moves away from exactly one of the others, and two knight moves away from all of the remaining squares. The pairs that are four knight moves away are the ones that are separated by two squares diagonally: d3-f5, c4-e6, f3-d5, and e4-c6. Hence, two knights can be placed on any one of these pairs, and whichever pair is chosen, no further knights can be placed on white squares. Thus, there can be at most two knights on white squares, and two more on black squares, for a total of 4 knights in all.